The Easyrig 3 850N with Small Gimbal Rig Vest & Standard Arm is a body-worn support system that is adjustable to support camera rigs weighing 42 to 55 lb. The system consists of the Easyrig 3 support bar with 850 N gas shock absorber, the small Gimbal Rig double shoulder vest, and a Standard support arm. A carrying bag is also included for convenient storage and transport of the Easyrig system. 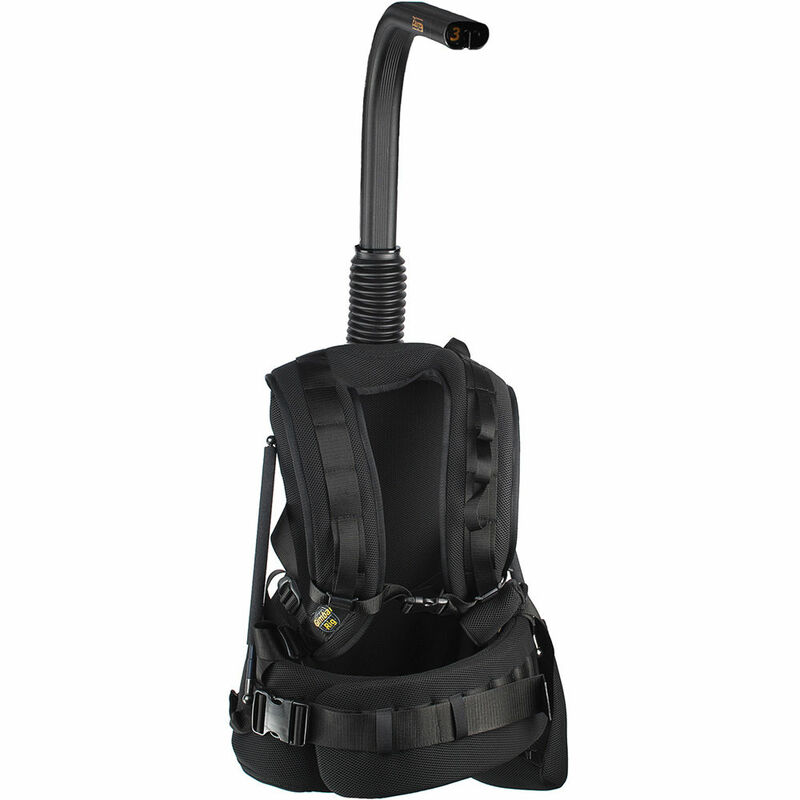 The Gimbal Rig vest is designed with wider front support that fits around the waist and over the hips. It is designed to provide lower back support that allows weight loads to be carried further away from the body.